Season for tender chintakaya aka raw tamarind or tender tamarind started in my place. 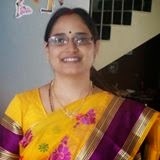 We make chutney, dal and pulusu with them. 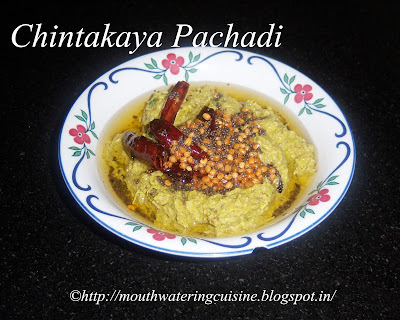 Chintakaya pachadi with green chillies is spicy and tasty. It is a good accompaniment with hot piping rice. In my early childhood days people make it in traditional and stone mortar and pestle. 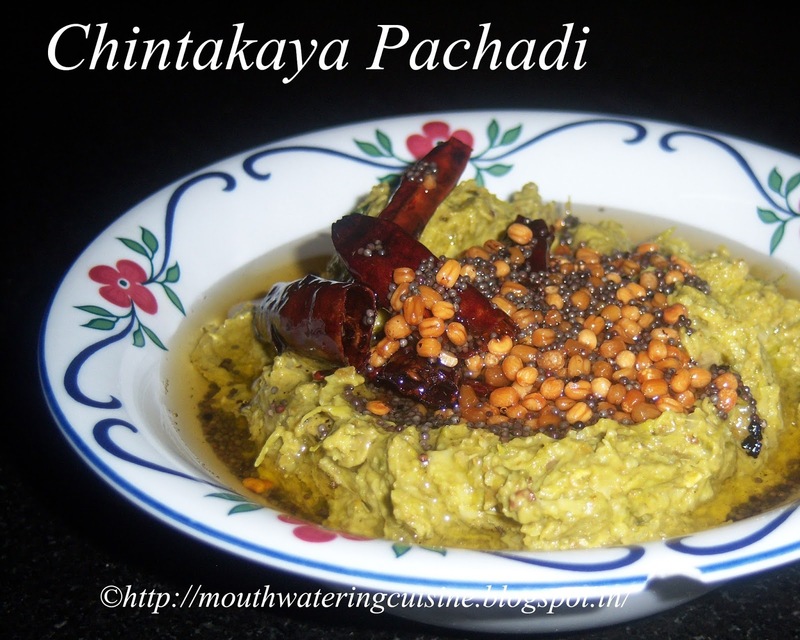 Now a days with the mixer grinders around no one prefer to use mortar and pestle, but for a change this time I made chutney in it. I apologize for not taking pictures as I could not take them for now. Detailed pictures will be posted soon. Wash thoroughly raw tamarind under running water and wash green chillies. Peel the skin of garlic and keep aside. Heat 2 tbsp of oil in a kadai, add raw tamarind. Fry them till they become soft. It won't take much time as they are very tender. Keep them aside. Again heat 2 tbsp of oil and add green chillies. Fry them till they become soft. It takes a little longer, switch off the stove and add garlic to it. Mix well. Combine all of them in a blender jar and grind to make chutney. Do not grind till it become smooth paste. Let the pieces of tamarind and green chillies be available. If using mortar and pestle, mash them till they all become soft and smooth. Heat 2 tbsp of oil in another kadai, add mustard seeds, black gram and red chilli. When they splutter, temper it with the chutney. 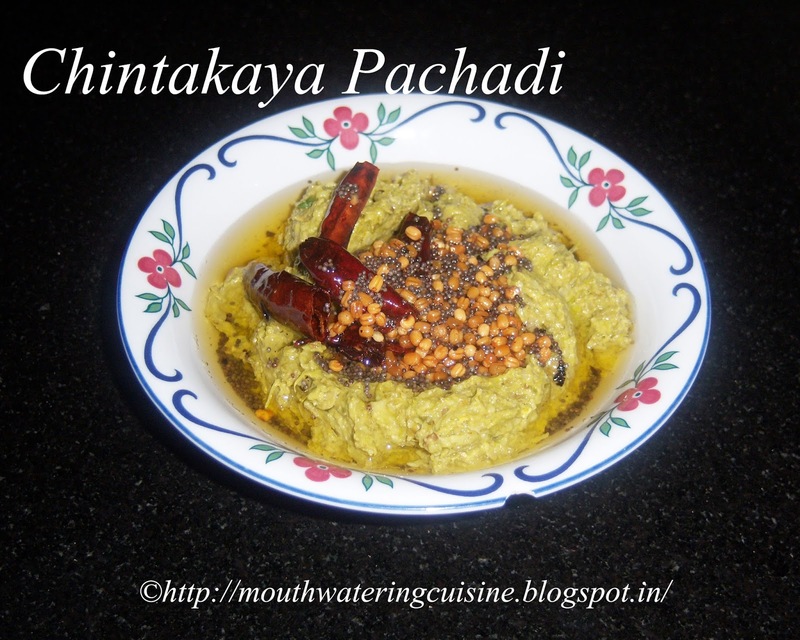 Serve chintakaya pachadi with hot piping rice.